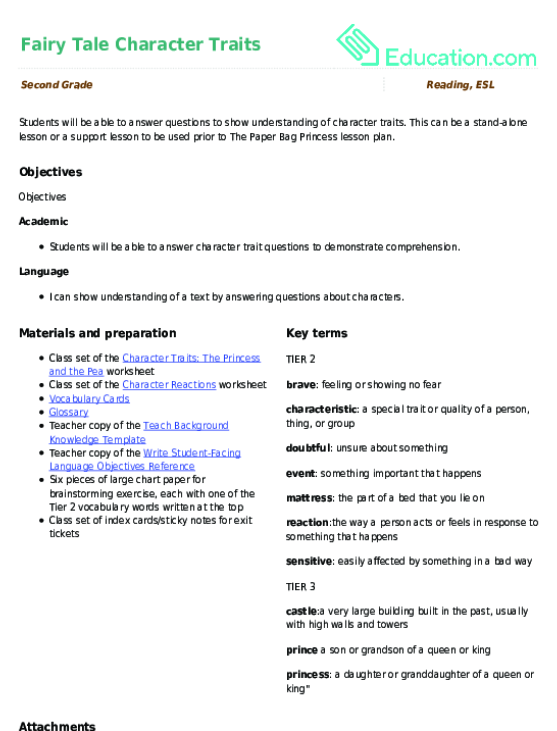 This lesson can be used as a pre-lesson for the The Paper Bag Princess lesson plan. 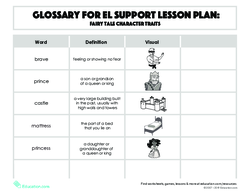 princess: a daughter or granddaughter of a queen or king"
Students will be able to answer character trait questions to demonstrate comprehension. I can show understanding of a text by answering questions about characters. 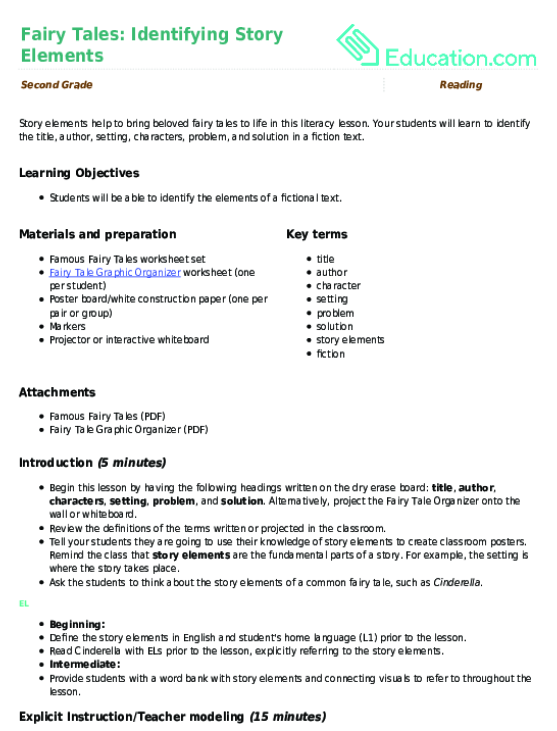 Explain to students that today they will be learning how to discuss characters in a story, along with some new vocabulary to talk about the characters. Write castle, prince, and princess on the board. Have students turn to partners to discuss each word to see if they can come up with a definition and an example or sentence for each. Provide definitions (on board or projected) of all Tier 2 words. 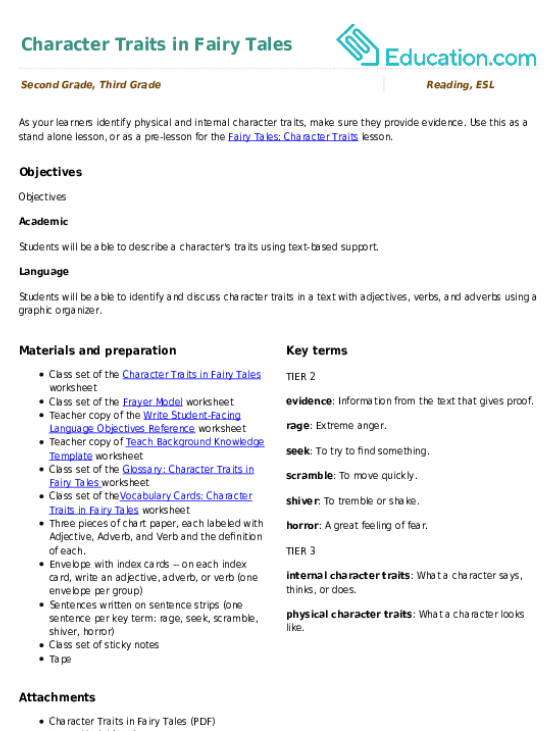 Separate students into groups with a completed brainstorming sheet and have them answer questions aloud about the word. For instance, "What does the word mean?" 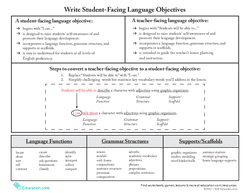 Have students use sentence frames for support in their oral discussion. One characteristic of the Big Bad Wolf is ____. 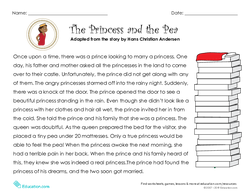 Distribute the Character Traits: The Princess and the Pea worksheet. Read the story aloud. Have students circle new vocabulary as they read along with you. Read the instructions on the back and have a volunteer explain them back to you. Give students a few minutes to reread the passage in pairs before analyzing the first character. Ask for whole class' attention, then think aloud to model analyzing the first character. Ask, "Which word fits best here? How do we know?" Have students explain the clues. 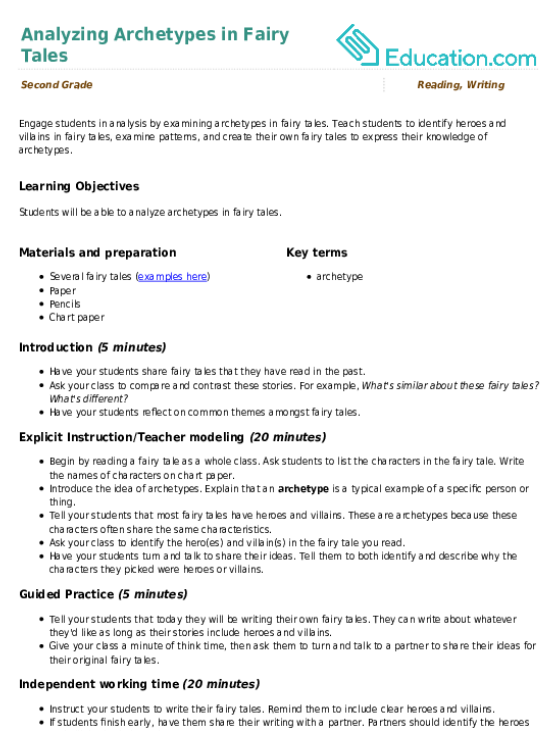 Have students work independently or in pairs to complete the rest of the worksheet. 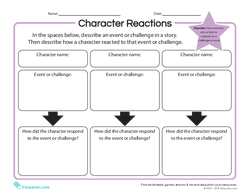 Distribute the Character Reactions worksheet, read the directions to the students, and ask a volunteer to repeat the instructions back to you. Have students work with partners to discuss possible answers. The queen responded to ____ by ____ under the mattress. The prince responded to ____ by ____. 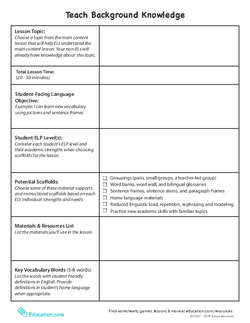 Assess students' understanding of vocabulary by evaluating their accuracy on the partner talk, worksheets, and participation throughout the class. Distribute index cards/sticky notes as exit tickets. 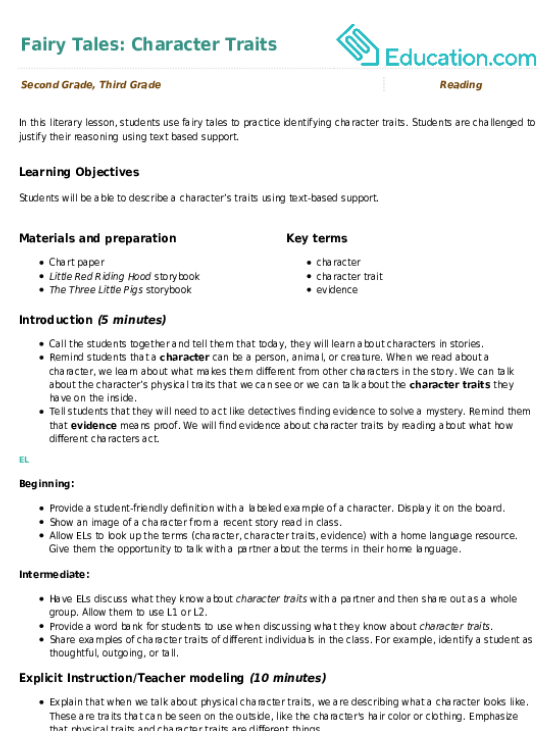 An event in a story is ____. 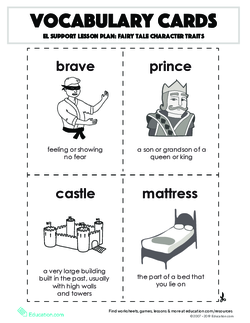 Your students will use an abridged version of "The Princess and the Pea" to practice analyzing and expressing character traits with the help of a word bank.